Over the Flores are present several churches that stand out from the houses, both for its size as for its white walls, surrounded by the gray tone of the stonework. 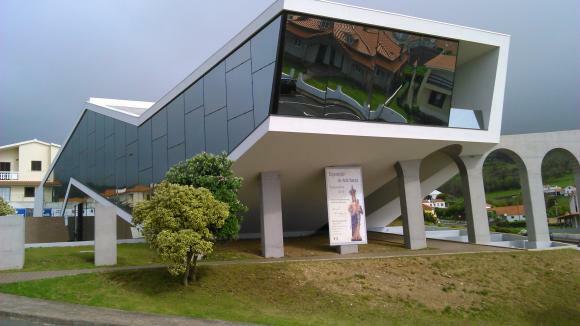 The church of Our Lady of Lourdes, at the Fazenda, was built in the twentieth century, it is the most emblematic, as it takes advantage of an elevation to be observed and how viewpoint allows a view of the surrounding fields. Another viewpoint overlooking the Fajãzinha allows the observation of all the houses of the place, lost in the middle of a grassy plain. Santa Cruz das Flores, the Mother Church of Our Lady of Conception is highlighted from the other buildings by its magnificent facade. 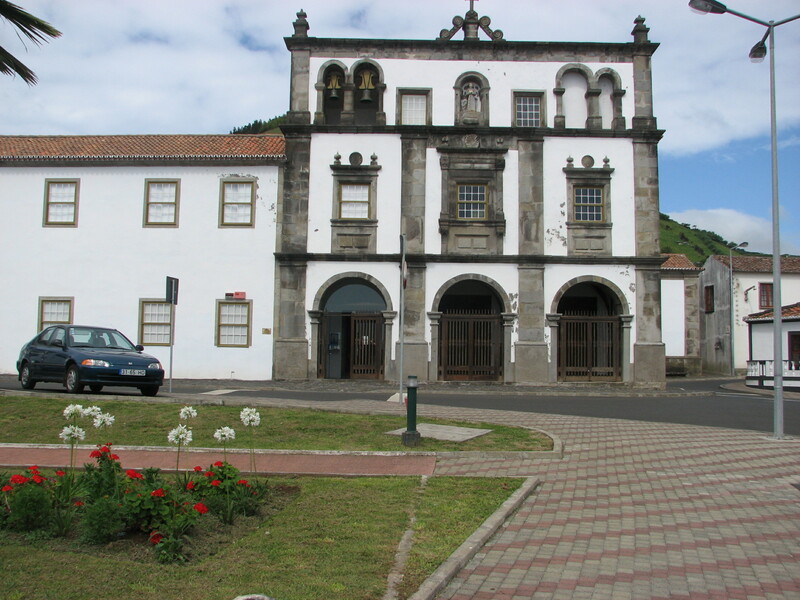 In Lajes das Flores, there is the Church of Our Lady of the Rosary, built in the eighteenth century and later by lining the facade tiles. 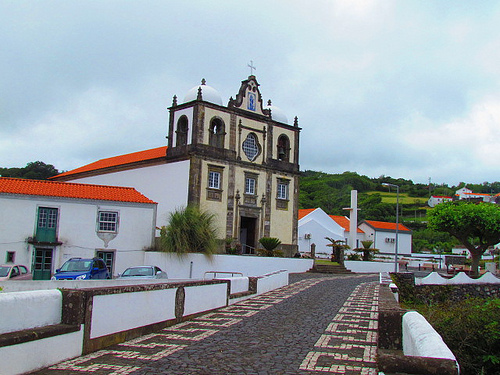 The churchyard, framed by pines, one can see the harbor and part of the village and can leave to the discovery of empires, of basalt stone houses and 1743 bridge over the Ribeira dos Morros. The Flores Museum is housed in part of the old Franciscan convent of Santa Cruz, this documents the relationships of the Florentines with the sea and land, through collections of agricultural implements, scrimshaw and maritime tools, utensils related to carpentry and ironwork, textile flax and wool, another exhibition of interest is the artifacts recovered from the Slavonia, liner shipwrecked off the coast florentine in the year 1909. Already the craft tradition of flowers is the composition of composite flowers with kernels of hydrangea, a delicate work It requires firm and expertly hand; other craft work is the flowers of fish scales made with shells, embroidery and tulle. Church of Our Lady of the Rosary – built between 1763 and 1783, the same site of the old Chapel of the Holy Spirit. Its rectangular plan has two towers and integrated in the chancel is an altarpiece painted revivalist hoist. 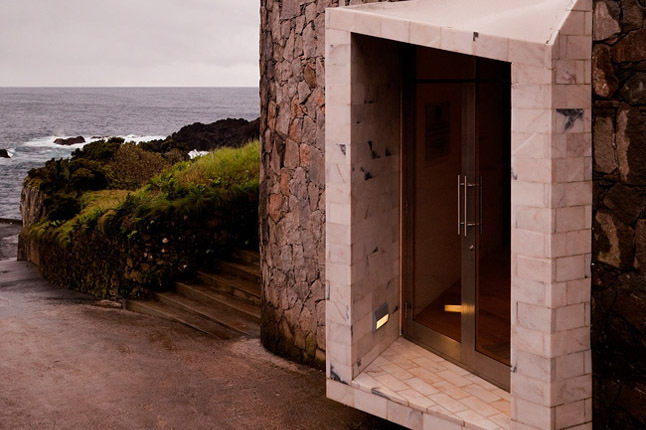 Environmental Interpretation Center of Boqueirão – creating the tanks that whale oil was stored, this promotes themes about bird watching, marine pollution, hydrothermal vents deep and whale watching. Flores Museum – features a museum collection and documented, which spans three buildings, the Franciscan convent of St. Bonaventure, the House-Museum Pimentel Mosque.